BREAKING: For the third time, the highest Court of the European Union has confirmed that Morocco has no sovereignty over Western Sahara. In its new ruling dated 19 July 2018, the Court confirms that the EU’s fisheries agreement with Morocco cannot be applied to the territory. On 19 July 2018, the Court published its judgment in the case brought by the Frente Polisario against the EU Council over the application of the EU-Morocco Fisheries Agreement to Western Sahara. The Court concluded in article 69 that "it follows from the foregoing considerations that the Partnership Agreement and the 2013 Protocol must be interpreted in accordance with the rules of international law binding on the Union and applicable in the relations between the Union and the Kingdom of Morocco. In this sense, the territory of Western Sahara, and the waters adjacent to the territory, do not fall within the respective territorial scope of this Agreement and Protocol". The Court echoes its judgment of earlier this year, when it had already concluded the EU-Morocco Fisheries Agreement to be invalid in Western Sahara in another court case referred to it by the UK High Court. That case had been initiated by Western Sahara Campaign UK against the UK government in February 2015. In October that same year, the UK High Court decided to refer the case to the CJEU for a preliminary ruling, which came on 27 February 2018. The referral case took precedence, and as such the case initiated by Polisario in March 2014 was put on hold. Confused with all the different CJEU court cases on Western Sahara? It’s not easy keeping up with all the different legal proceedings relating to Western Sahara. For the sake of clarity, here’s an overview of the five different cases at the Court of Justice of the European Union. In a twist of bitter irony, the judgment came just days before the EU Commission and the Moroccan government decided to initial a newly negotiated fisheries agreement, that explicitely includes Western Sahara. "While the services of the European Commission are in Rabat, believing they are authorized to sign a new agreement with Morocco to apply to the maritime area of Western Sahara, the decision of 19 July 2018 sends a very clear message on the power of international law, and that the entry into force [of a new agreement] will lead nowhere", says Mhammed Khadad of the Frente Polisario. "We are following the development of the file, because the agreement must still be endorsed by the European Parliament. If this mechanism of extending the agreement explicitely into Western Sahara was indeed concluded, we would initiate a new appeal before the EU Court. In addition, our lawyers are currently working on a liability claim against the Commission, which we have decided in view of the European obstinacy, and the damage claim amounts to hundreds of millions of euros." Read Polisario’s full press release here. "How many more times should the Saharawi people win in Court before the EU changes course and upholds European and international law? Morocco and the EU cannot enter into deals that include Western Sahara", said Sara Eyckmans of Western Sahara Resource Watch. "The EU Commission has a lot to explain: to European fishermen as to why they were made to pay for fishing licences in Western Saharan waters under an illegal agreement, to EU tax payers as to why their money went to Morocco for access to the waters of Western Sahara, and to the EU Member States which have been mislead into signing this illegal agreement", Eyckmans said. As neither the Agreement nor the Protocol can be applied to Western Sahara, the Frente Polisario is not directly concerned, the Court states, and had no reason to bring the case. As such, the case is formally annulled, while its underpinning argumentation again backs Polisario’s stance in reaffirming the primacy of the right to self-determination in relation to the territory of Western Sahara. In its hallmark judgment of December 2016, the CJEU had ruled that no EU Trade or Association Agreement could be applied to Western Sahara, unless with the consent of the people of the territory. Doing otherwise would violate the right to self-determination, the Court argued, as Morocco has no sovereignty over Western Sahara. 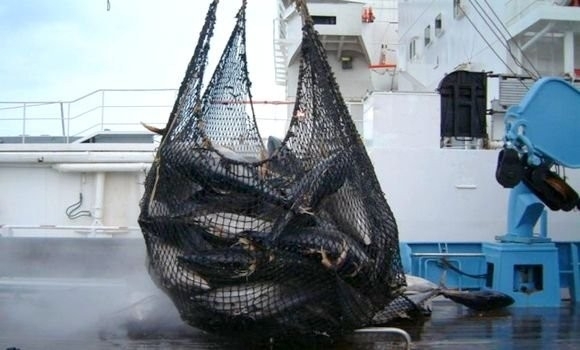 The Court has now repeated that rationale twice in the two cases on the EU-Morocco Fisheries Agreement.